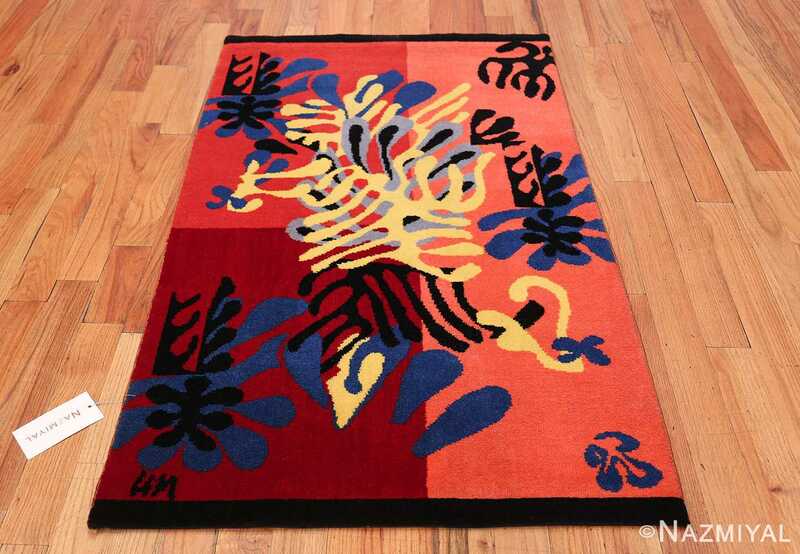 Breathtaking Mid Century Vintage American Henri Matisse Mimosa Rug, Country of Origin / Rug Type: American Rug, Circa Date: Mid – 20th Century – The iconic artist Henri Matisse, the master of color and form, created the incredible design for the Mimosa tapestry from cut paper in 1949, with revisions made in 1951. Legend has it that Matisse came across mimosas, flowering trees that populate the Cote D’azur in the French riviera, at a flower show in Nice and was thoroughly captivated and energized. Though Matisse was deeply inspired by textiles, Mimosa is the only art carpet he designed. 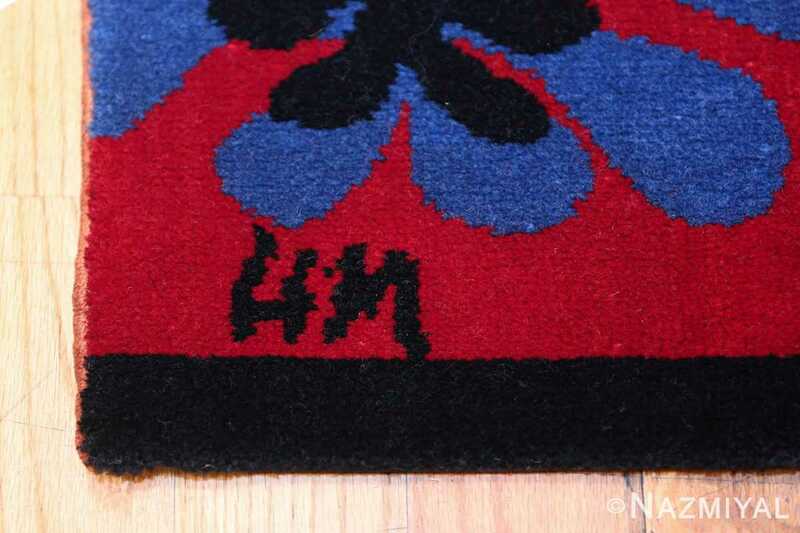 His Mimosa tapestry rug was also the only textile he personally authorized during his lifetime. 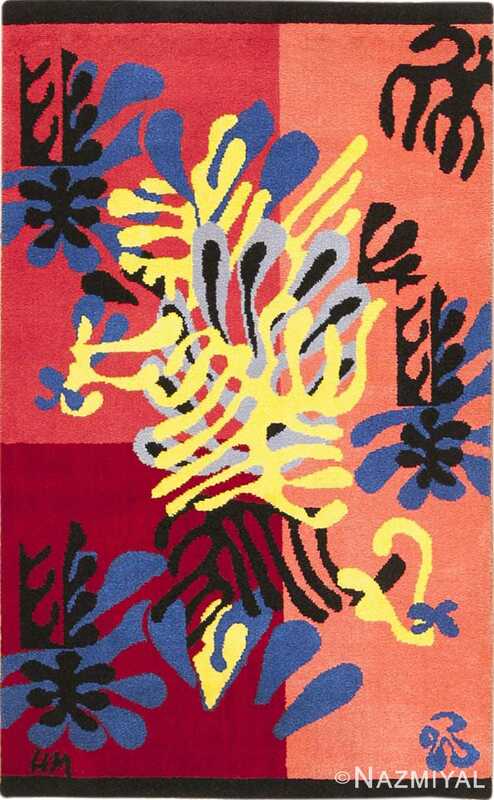 This Henri Matisse Mimosa rug boasts captivating shades of burgundy and coral. These warm vibrant colors provide the perfect background for showcasing the joyful energy of the undulating leaf like shapes that live on the surface. The whimsical mimosa flora forms move with happiness and warmth as they overlap and interact with one another. This creates an almost sculptural quality that offers much depth and life. 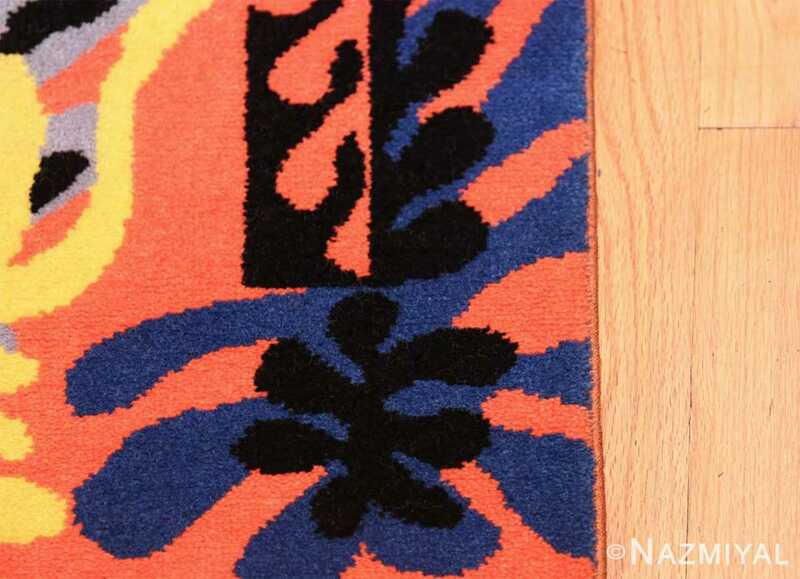 The black, lighter blue forms live behind the warmer and lively happy yellow designs in the foreground. 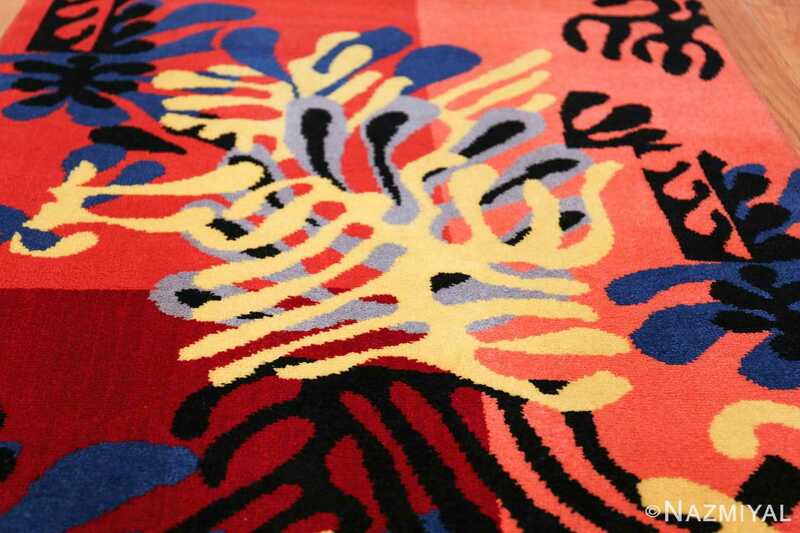 Though alive with movement, the design of this American rug is incredibly soothing, friendly and relaxing. 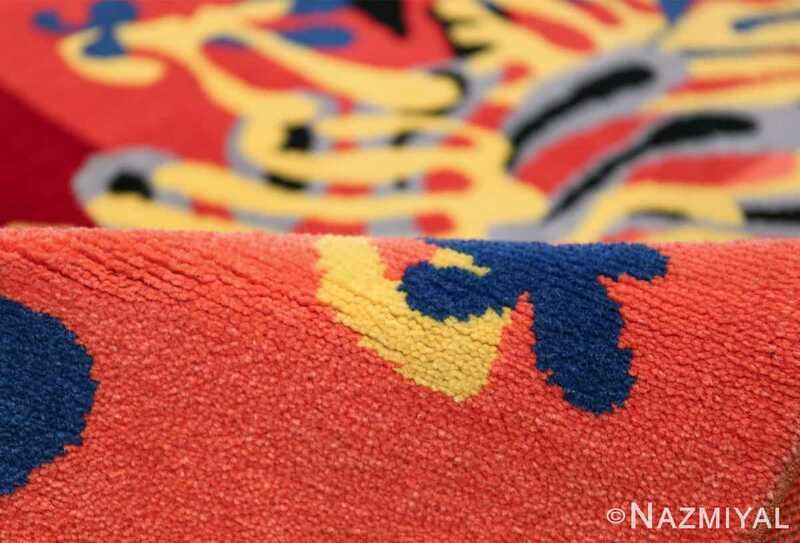 The dynamic colors and organic shapes juxtapose beautifully to create a modern yet timeless design of beauty and historical significance that exude a quality of childlike innocence. 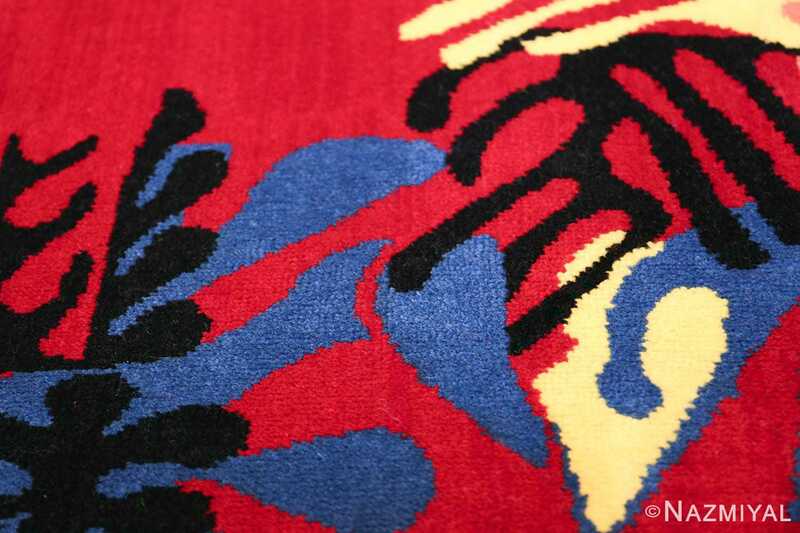 A black border is woven along the top and bottom of this tapestry creating a gently geometric frame. 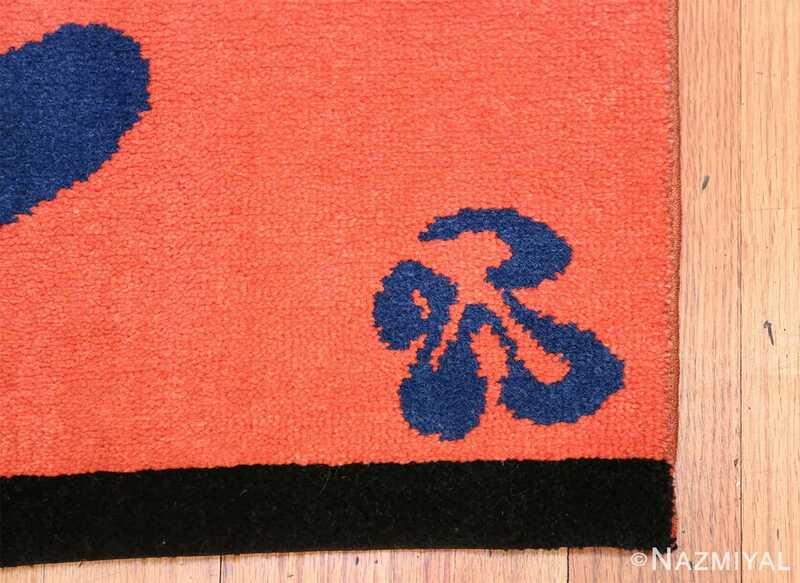 Matisse’s fascination with color, form and design are beautifully apparent in this vintage mid-century masterpiece which bears the artist’s initials in the lower left corner in black. 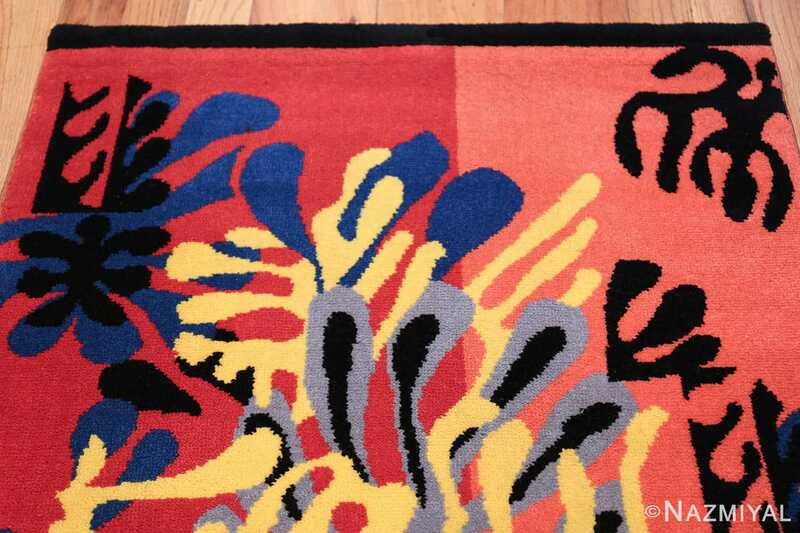 This Henri Matisse Mimosa rug is a magnificent work of textile art. 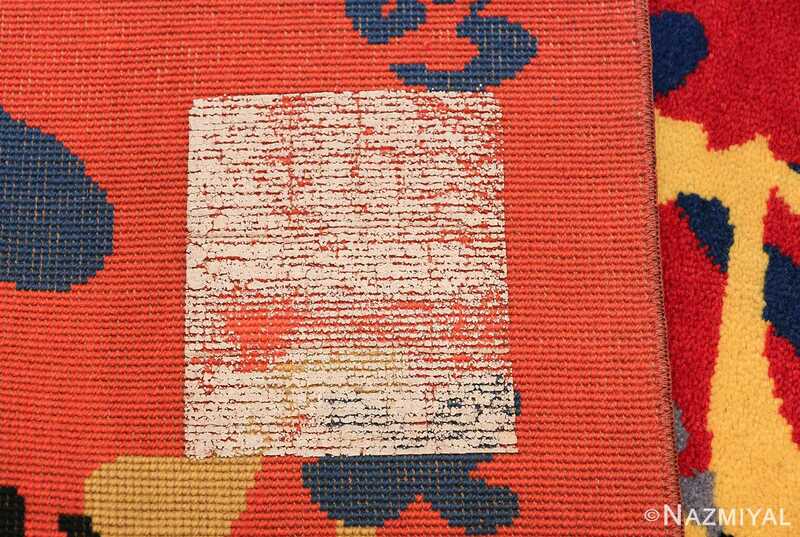 While it could be used on the floor, it was woven with the intent of hanging on the wall. In line with with some of the great Henri Matisse Cut-Outs, this piece is sure to provide much joy to whoever is lucky enough to own it.